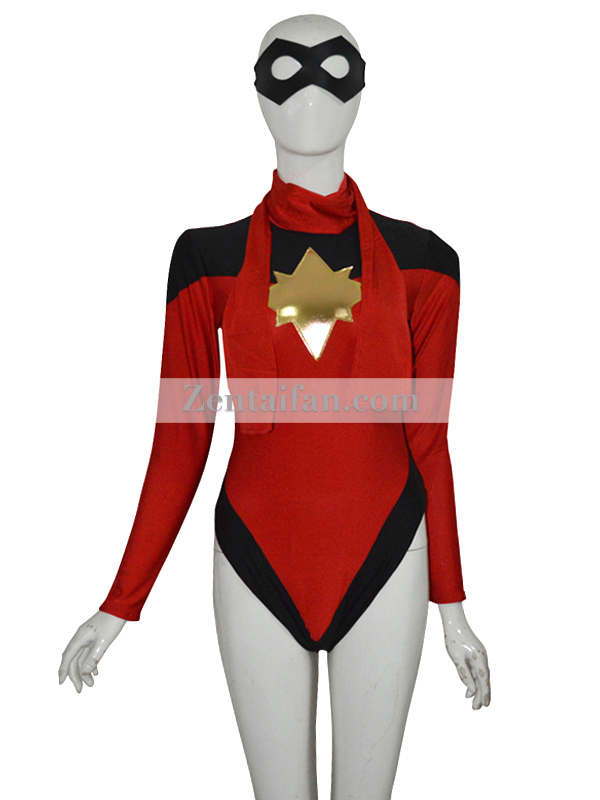 This is a one-piece fullbody costume with a long zipper added in the back, from head to waist. The gold part on the waistband is made of metallic. Please do not wash the gold part when you are cleaning the costume.